Competition in both the casual and core markets will hurt Nintendo. Outspoken game designer David Jaffe doesn't think that Nintendo is going to be able to match the success it had with the Wii. He thinks that the "perfect storm" that allowed Nintendo to claim the number one spot in this console generation has passed, and the Wii U will only do around half as well. 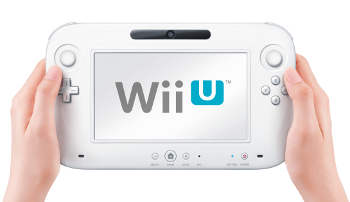 Jaffe felt that a significant portion of the Wii's install base had purchased it as something other than a gamer device. Moreover, he didn't think that Nintendo had been able to convert enough of these people into gamers to make them go out and buy a new console. He said that the current craze was for devices like Apple's iPad and iPhone, and that the people who traditionally might have been interested in Nintendo's products beyond core gamers were now getting their gaming fix elsewhere. He also thought that competition from consoles would likely hurt the Wii U in the core market, as gamers had a lot of choice in the field of HD gaming. He made it clear however that he didn't think the Wii U would fail, just that it wouldn't be as successful as its predecessor. He also noted that he had made predictions about Nintendo before - he thought that the PSP was going to blow the DS out of the water - and had been wrong. Jaffe does make a lot of good points, but there are so many factors that are going to play a part in the success - or failure - of the Wii U and so much that could happen and/or change, we won't know if he's right for years to come.